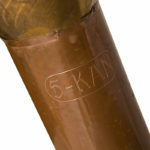 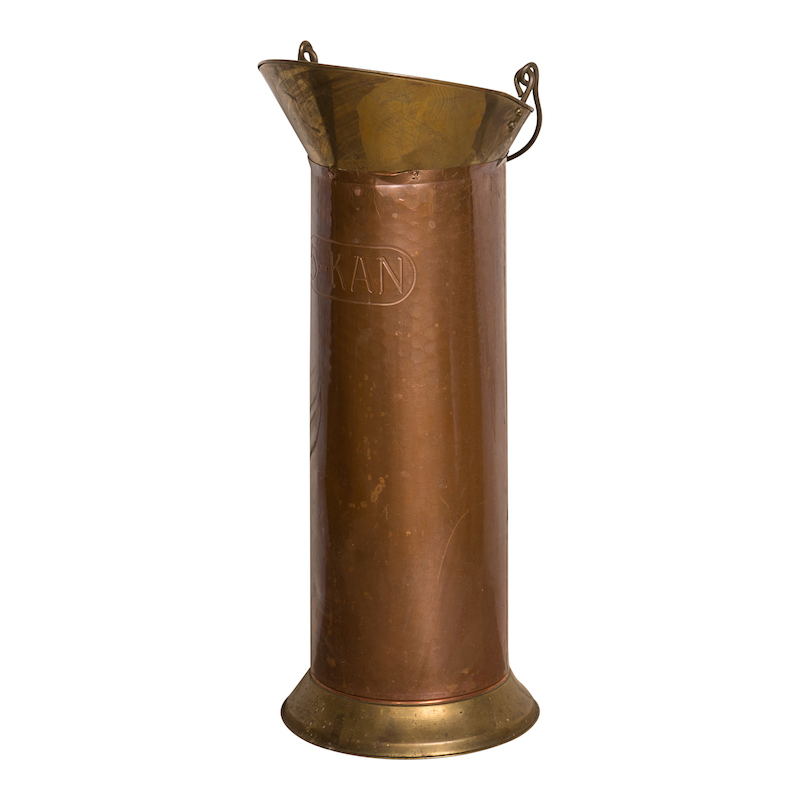 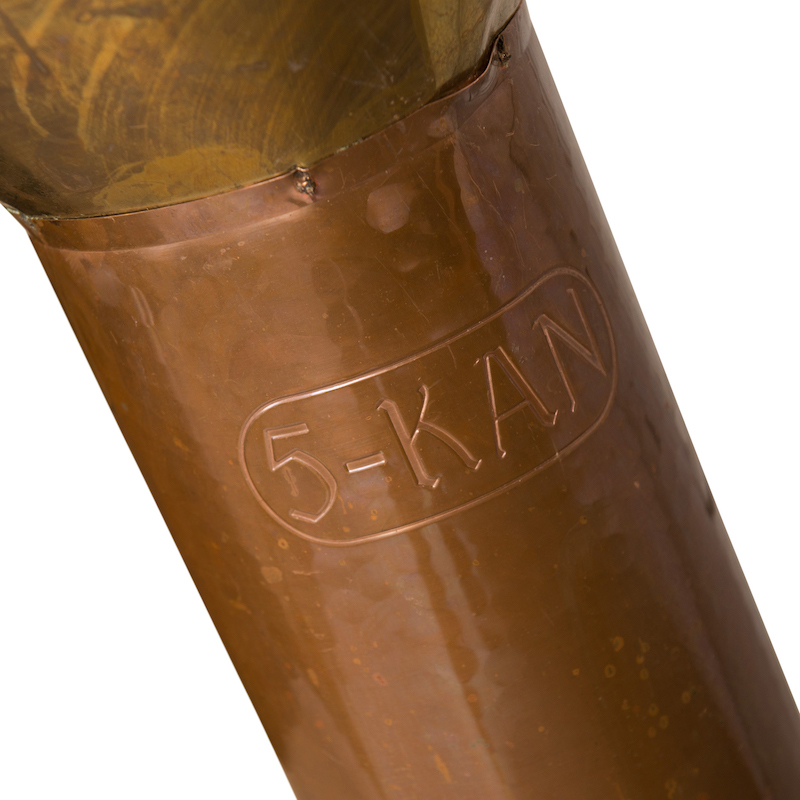 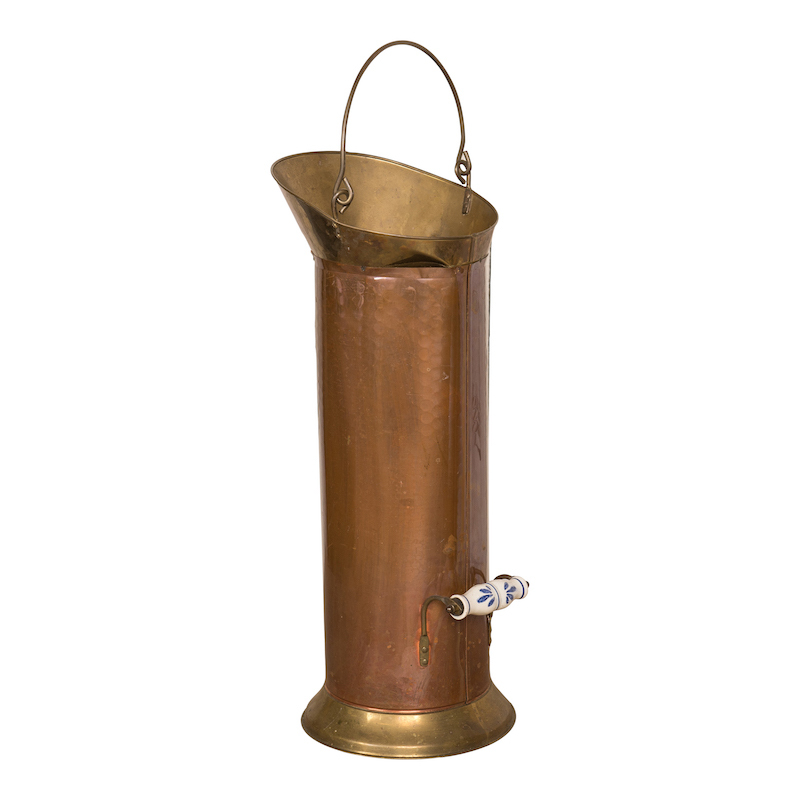 Vintage two tone “5-kan” brass and copper bucket from Europe. 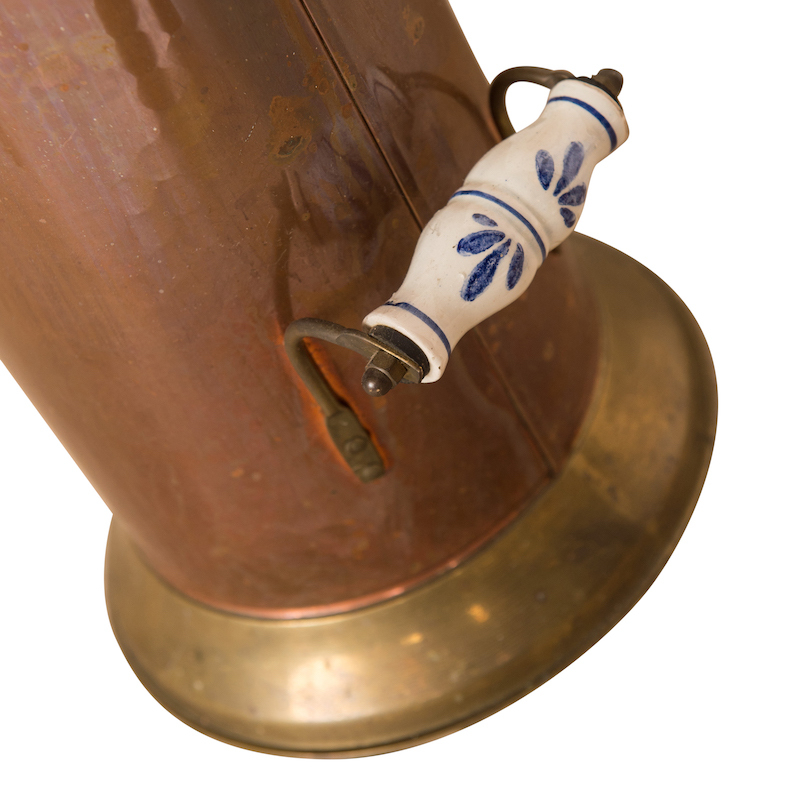 Features a metal handle up top and a white/blue porcelain handle in the back. Great as a display piece or to hold florals.